With a celebrated history of German design and engineering, PFAFF® sewing machines are the world’s premier precision machines that sewers aspire to own. The PFAFF® brand has over 155-year sewing heritage that creates a climate for continued development and design of high quality sewing and embroidery machines. Take your sewing to the next level with PFAFF® performance™ icon. Everything can be done on the huge multi-touch screen with smart digital interface, large work area, automatic needle threader and so much more! 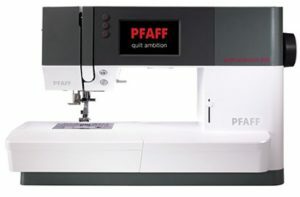 The PFAFF® quilt expression™ 720 sewing machine delivers the best combination of work space, color touch screen, exclusive PFAFF™ stitch techniques. Known as the perfecter of the craft, PFAFF® delivers precision to the most demanding sewers by offering maximum control and customization. PFAFF® machines are catalysts for passionate sewers, producing the highest quality results in all aspects of sewing. 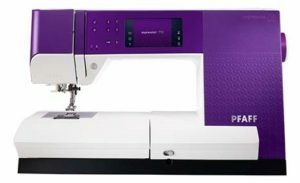 No other quilting machine delivers a better combination of generous work space and numerous needle positions than the PFAFF® expression™ 710. 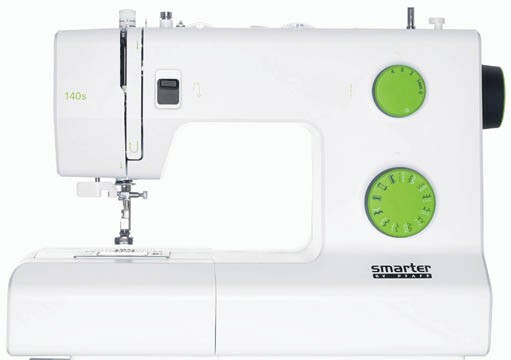 It has one of the largest work spaces (10 inches to the right of the needle), so you can maneuver large quilts and sewing projects much easier than you can on other sewing or quilting machines. Its 37 needle positions let you place stitches more precisely when compared with the needle positions that are on most other quilting machines. 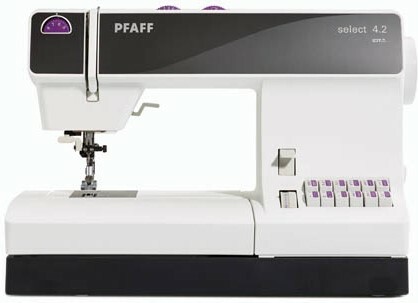 ​PFAFF® has a wonderful line of sewing machines for the sewer who wants a machine with a wider sewing area.. 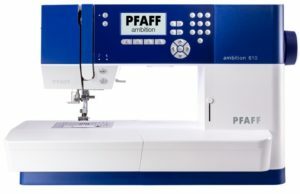 The PFAFF® ambition™ 610 will have you experiencing a whole new way of sewing. With its German innovative design sewing is easy and simple to achieve the professional results that sewers want. The PFAFF® ambition™ 620 is what every home sewer wants. This exciting sewing machine has a lot to offer, including needle threader, needle up/down and more! The new PFAFF® quilt ambition™ 630 goes one step further with a color touch screen and thread snips! 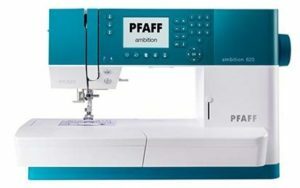 The PFAFF® ambition™ line with its innovative features, durability and ease of operation makes it the sewing machine for you. Get your travel documents in order, grab the PFAFF® passport™ 3.0 or passport 2.0 and experience a whole new way of sewing! The PFAFF® passport™ 3.0 and passport ™ 2.0 are the perfect traveling companions; lightweight, compact and portable. They also feature the Original IDT™ system, a beautiful Applique Pin Stitch and much more! The PFAFF® passport™ 3.0 features more decorative stitches and thread snips! Once you have used snips; you can not live without them. 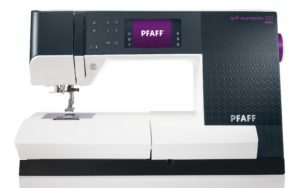 Simply reliable sewing with the PFAFF® select™ 4.2 sewing machine. It is perfect for anyone who needs a versatile sewing machine with a sleek modern look and easy to use. Check out this machine!. 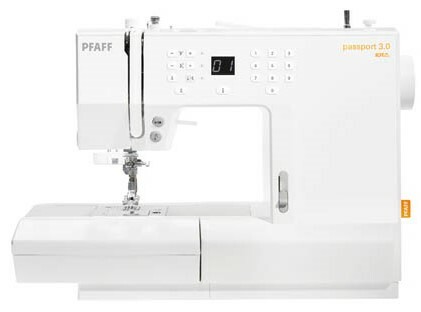 You can also buy a true PFAFF® quality sewing machine at a surprisingly low price. 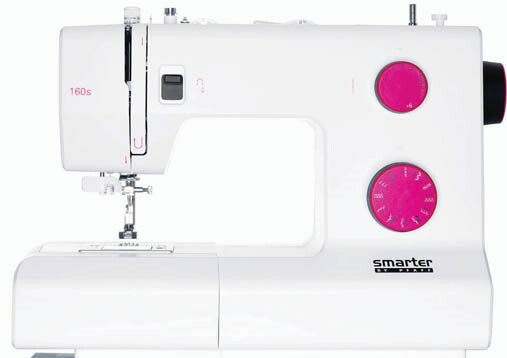 The sewing machines in the PFAFF® smarter™ line are very sturdy and reliable. These machines will handle your sewing needs easily. 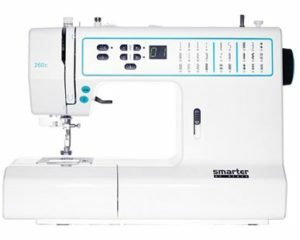 A PFAFF® smarter™ line sewing machine from PFAFF® is what you need. Each machine in this line is so easy to use and each one comes with a different range of special features and accessories. The PFAFF® 260c is wonderful for the sewer who is looking for a machine that has a bit more. The PFAFF® 160s is more for the casual sewer. Someone who can sew and wants a machine when they are ready to sew. While PFAFF® 140s is for the person who wants a reliable machine just in case they need to get a project done. PFAFF®s smarter™ line has lots of possibilities at an exceptional price! Unsure which machine is the right one for you? Stop in and we will gladly help you out! 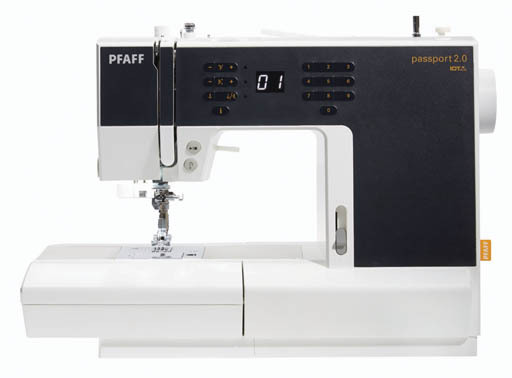 Read more about PFAFF® sewing machines by clicking on highlighted machine or name. It’s good when a brand has been around a long time. It’s even better when it doesn’t show its age. There are many reasons behind the success of a brand like PFAFF®. It’s a brand with over 155 years of development behind it and a consistent presence in the marketplace. It has a special air of familiarity, security and reliable quality. Today’s world overloads all of our senses. It reflects the spirit of the times. How do people live their lives, what did they think yesterday, what will they do tomorrow? What’s in and what’s out, and most important of all: what do people want? PFAFF® sewing machines are part of this world, because there is one thing that never goes out of style. The search for individuality. Welcome to the world of PFAFF®. PFAFF® creative™ icon! Our most advanced machine combines our legacy of maximum precision with every best-in-class feature you demand. The result is a feat of technological excellence destined to exceed the aspirations of today’s sewing, quilting and embroidery artisans. Create an impact and enjoy twice the possibilities with PFAFF® creative™ 4.5. It looks different from any other sewing machine because it is different. Are you looking for a sewing machine with embroidery capabilities? Not sure if you want to embroidery but want to get your feet wet? Step into another world with the PFAFF® creative™3.0. Looking to express your creativity? 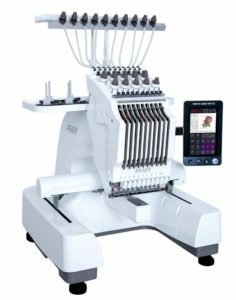 With PFAFF® creative™1.5 it’s very easy to create a one of a kind design using this spectacular machine. The Embroidery PC Intro Software is included as a download! See your inspirations come true! Embroider large or complex projects in a fraction of the time. Check out our newest multi-needle embroidery machine from PFAFF® the creative stylist™ MN110. To learn more about the machines, please click on image or name for more information.